'Tsuvians,' as they euphemistically like to call themselves — are a hearty lot. 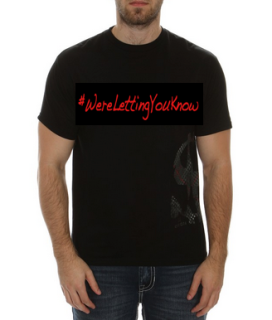 When they feel they have been wronged, this small band of social networkers appear much more sizable than they actually are. Seemingly outranked in comparison to Facebook’s 1.6 billion, Tsu founder Sebastian Sobczak’s 4 million users by social media standards is a meager number? Not the case. 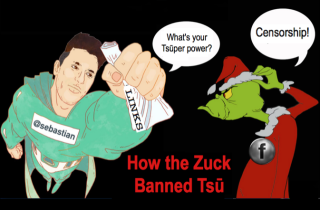 Tsu’s block by the world's largest social network has proven to be an historic modern-day David vs Goliath story played out on a global stage. Words to live by, Mr. Zuckerberg!This was his attempt to paint the goals of his company far loftier than corporations obsessed with a greed and bottom-line mentality. One needs to ask what transpired to make the founder of Facebook retreat from his core beliefs in what looked to be contradictory, if not outwardly hypocritical? Sobczak, on the other hand perceived the move to be blatant censorship, as did the blogosphere. 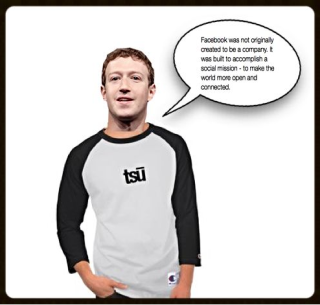 Based on Tsu’s business model, it’s Sobczak’s contention that Facebook wanted to diminish the effectiveness of an upstart trying to popularize the idea that social networkers should get paid for posts that help sell's a company's advertising. And by all appearances, his position was supported by tens of thousands of others in the social media space. The unequivocal evidence of that support can be found online. Today, if you were to conduct a keyword search of “Facebook Tsu” you will find hundreds of articles and posts that condemned the actions taken by Facebook. Facebook has asked us to let them know if the ERROR MESSAGE that pops up every time we try to post a Tsu link was in ERROR. Facebook, we understand your process, so please accept this Collective PLEA from thousands of us who feel this BAN of Tsu links was in ERROR. Thank you. This post was surprisingly not deleted by Facebook and resulted in being circulated by over a thousand users on both networks. According to an ABC report on December 8th, it’s fairly clear the court of public opinion was enough to force that the ban be lifted, vindicating the network and righting the wrong supported by so many. The two sides came to a resolution with a truce that required New York-based Tsu.co to remove a feature that allowed its users to share content directly to Facebook with one click. Now Tsu users will have to go through a few extra steps to transfer their posts to Facebook, or just copy and paste a link. 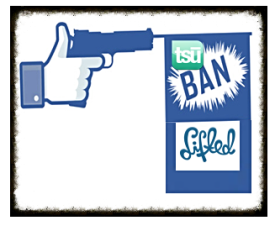 The concession prompted Facebook to restore the Tsu posts that had previously been erased from its social network (which amounted to over 10 million). Tsu links can now also be circulated on Instagram and Facebook's Messenger app. A miscommunication? I don’t know if you can dismiss Mark Zuckerberg’s reversal on his core beliefs as simple as a ‘miscommunication?’ You either stand behind your word and support a ‘free and open Internet,’ or tell the world why you are straying from that principle. Nonetheless, Tsuvians celebrated the lifting of the ban in high spirits by conducting charity drives, one of the ongoing types of initiatives that distinguishes this platform from most other social networks. With peer-to-peer transfers baked into the system, the royalties that users gain from the network’s advertising can easily be donated to another with one click of a button. So, for those interested in giving to one or all of the network’s 62 charities, you can join here and donate as little as 1 cent to the charities of your choosing.